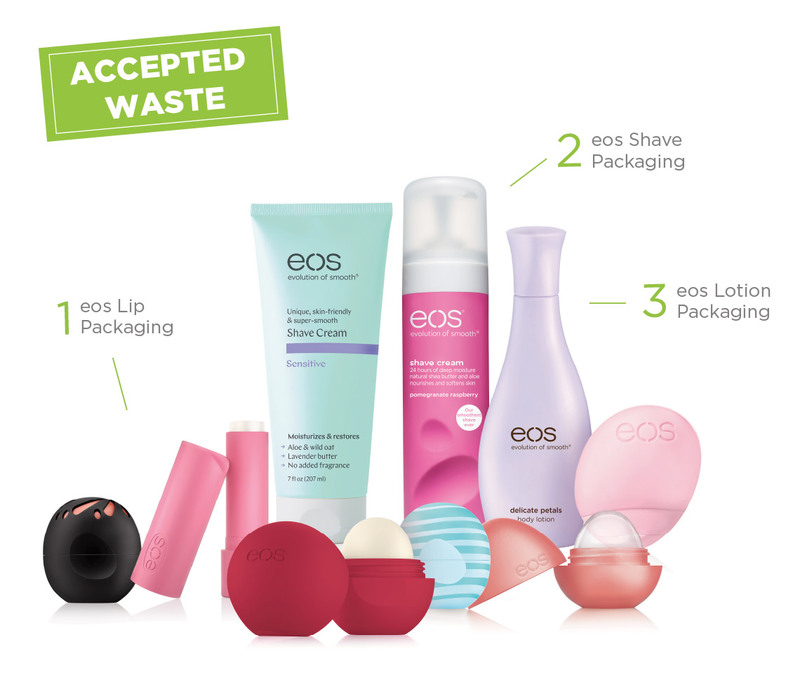 Recycle eos lip, lotion, and shave packaging through this program. Can I only collect eos-branded packaging? No, your shipment can be any size. However, your shipment must weigh at least 1 lb to earn the TerraCycle point donation for this program. One pound of eos packaging ranges from approximately 10-30 units depending on the type of product. To earn TerraCycle points, your shipments must weigh at least 1 lb. Each pound of waste you send in will earn you 100 TerraCycle points.